With a clear vision to succeed and a mission to serve the community, our group now has developed a diversified and comprehensive portfolio of financial services. 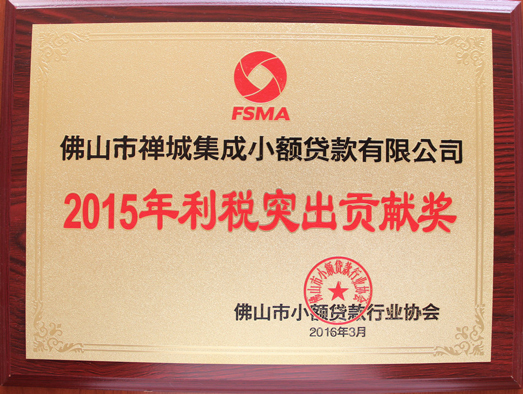 Leveraging our solid foundation and competitive advantages, our Group maintained a leading position in Guangzhou and Foshan. 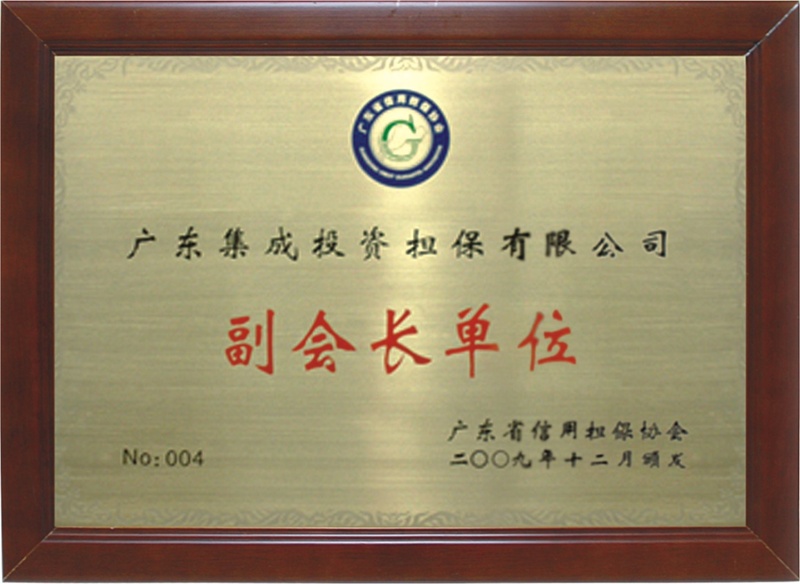 Mr. ZHANG Tiewei, aged 56, is one of the founders of our Group. He was appointed as our director on 16 January 2012 and redesignated as the Chairman of our Board and executive director on 18 October 2013. 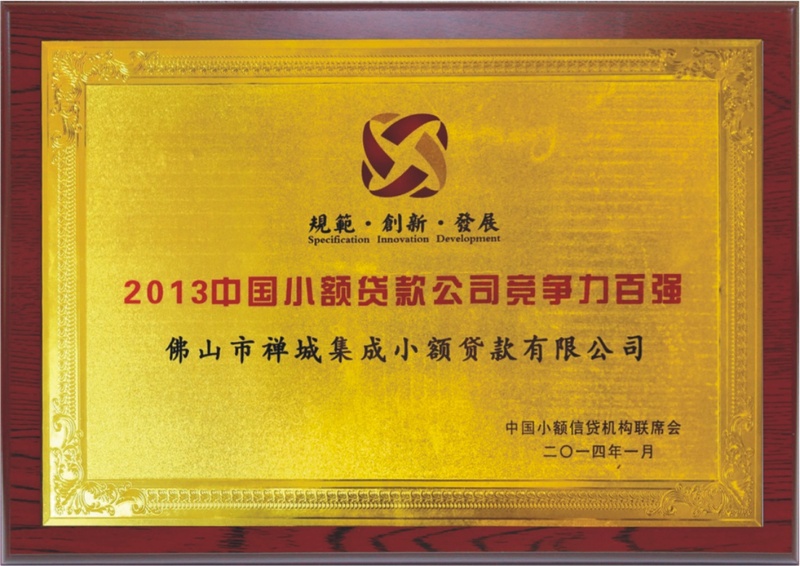 Mr. Zhang is responsible for our Group’s strategic planning and overall business management. Mr. Zhang has more than 21 years of experience in the financial industry in the PRC during which Mr. Zhang has been acting as (i) the director of Changcheng Futures Co., Ltd. since 1997 which engages in commodity futures brokerages and financial futures brokerages; (ii) the chairman of Success Credit since its establishment in 2009 which engages in the provision of small loans lending; (iii) the director of Guangdong Success Insurance Brokers Company Limited since 2003 which engages in the provision of insurance brokerages; (iv) the chairman of Guangdong Success Venture Capital Company Limited since 2008 which engages in venture capital; (v) the Chairman of Success Investment Holdings Group Company Limited (“Success Investment Holdings”) since its establishment in 2005 which engages in the investment in real estate, public utilities, medical and industrial project; (vi) the director of Foshan Success Finance Group Company Limited (“Foshan Finance”) which engages in the investment in the modern financial industry, investment in the financial services industry, capital management, asset management, business in the sales of insurance products, etc; and (vii) the chairman of Guangdong Jiayou Network Technology Co., Ltd. (“Jiayou Network”). Mr. Zhang accumulated relevant business and financial experiences which are relevant to the business of our Group when acting as the director or chairman of the above named companies. 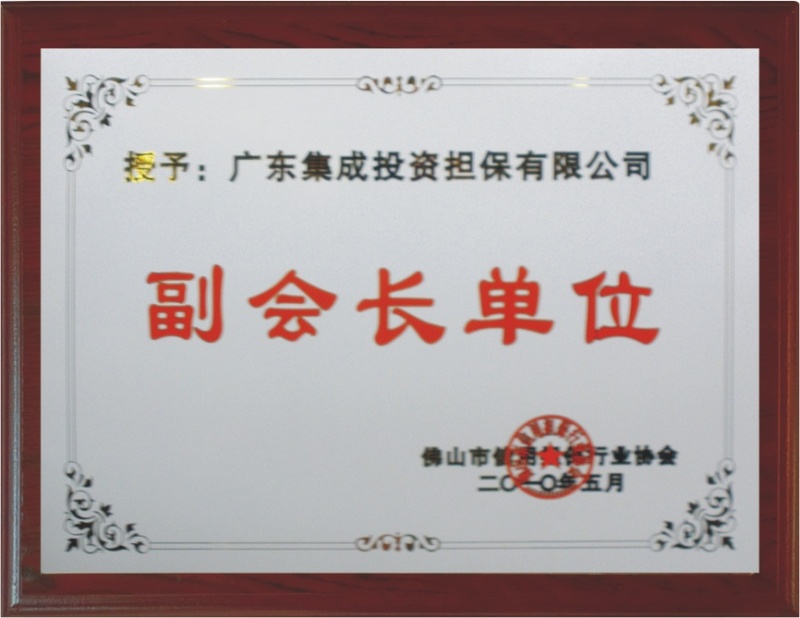 Mr. Zhang has also been acting as the legal representative of Success Guarantee, our operating subsidiary, since its establishment in 1996. Mr. Zhang is also a director of each of Double Chance Developments Limited, China Success Finance Holdings Limited, Guangdong Success Asset Management Company Limited (“Success Asset”), Shenzhen Qianhai Success Housing Wealth Management Company Limited , all being subsidiaries of our Company. Mr. Zhang is a member of the 12th Foshan Committee of the Chinese People’s Political Consultative Conference, the vice president of the 14th executive committee of Foshan General Chamber of Commerce, the standing committee member of the 11th executive committee of Guangdong General Chamber of Commerce, and the chairman of the 1st council of Foshan Investment Chamber of Private Entrepreneurs. 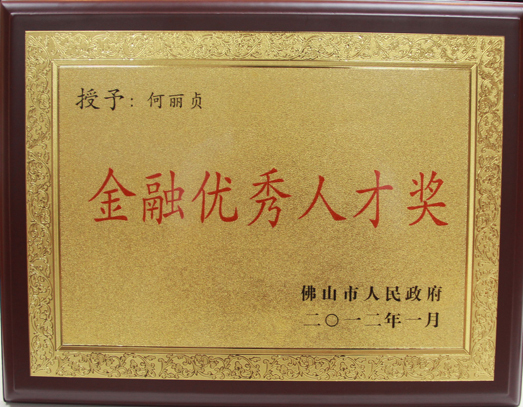 Mr. Zhang has been awarded as an Outstanding Corporate Manager in Guangdong Province in 2011 by the Guangdong Enterprises Confederation and the Guangdong Entrepreneurs Association. 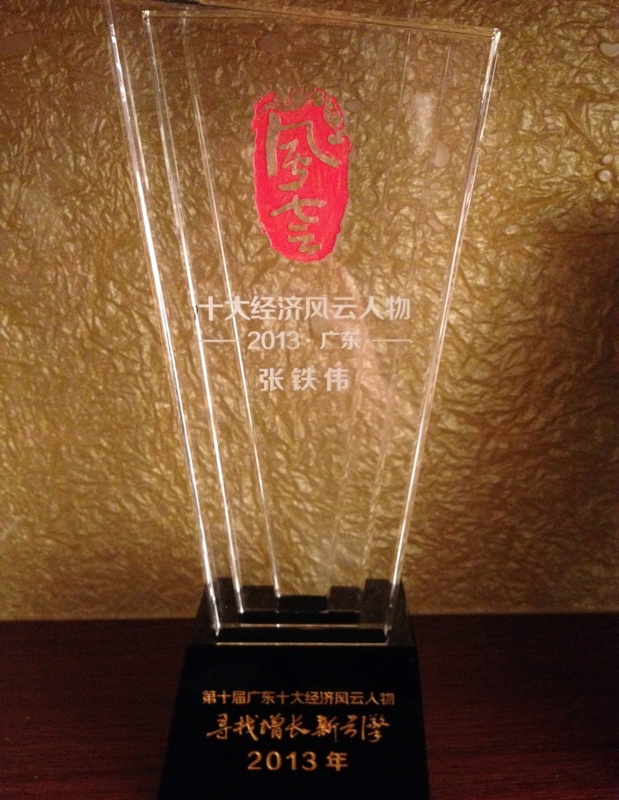 He has also been awarded as the top ten most influential persons in finance in Guangdong in 2013. Mr. Zhang obtained a master degree of executive master of business administration after completing an EMBA Programme in Cheung Kong Graduate School of Business in 2012. Mr. LI Bin, aged 46, is our executive director and the chief executive officer of our Group.. Mr. Li joined our Group in 2006 as an assistant to the general manager of Success Guarantee and manager of the post-guarantee management department. 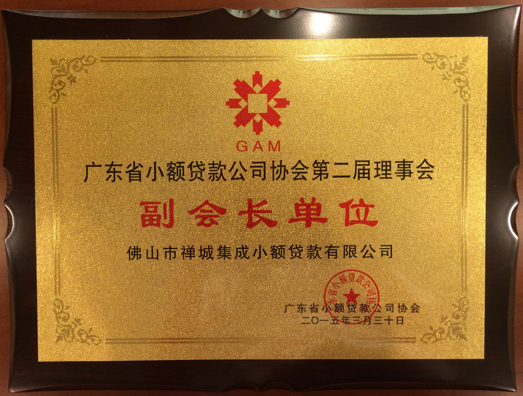 He was promoted to general manager of Success Guarantee in 2009 and appointed as our executive director and the chief executive officer of our Group on 18 October 2013. Mr. Li resigned as the chief executive officer of our Company with effect from 15 September 2014 in order to focus his time and effort on the development of the guarantee business of the Company and continued to serve as an executive director of our Company. Mr. Li was appointed as the chief operating officer of our Group on 31 August 2015 and is responsible for overseeing our Group’s operations and internal management system. 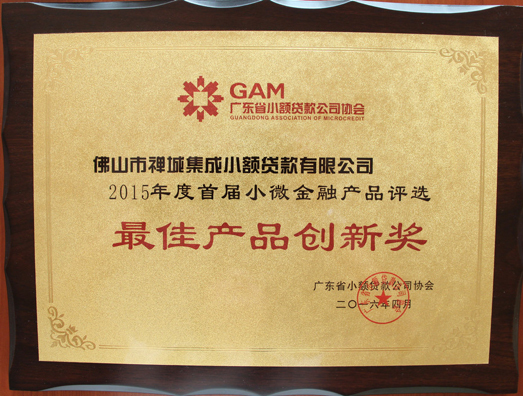 He was appointed as the vice chairman of Success Guarantee in 2016. He has been resigned as chief operation officer of our Group and appointed as chief executive officer of our Group with effect from 18 May 2018. Prior to joining our Group, Mr. Li had worked at the Foshan branch of Bank of China from 1993 to 2005 and was responsible for sales and marketing activities in the bank and specialising in the provision of loans and credits which are relevant to the business of our Group. His last position in the bank was assistant manager of the sales department. 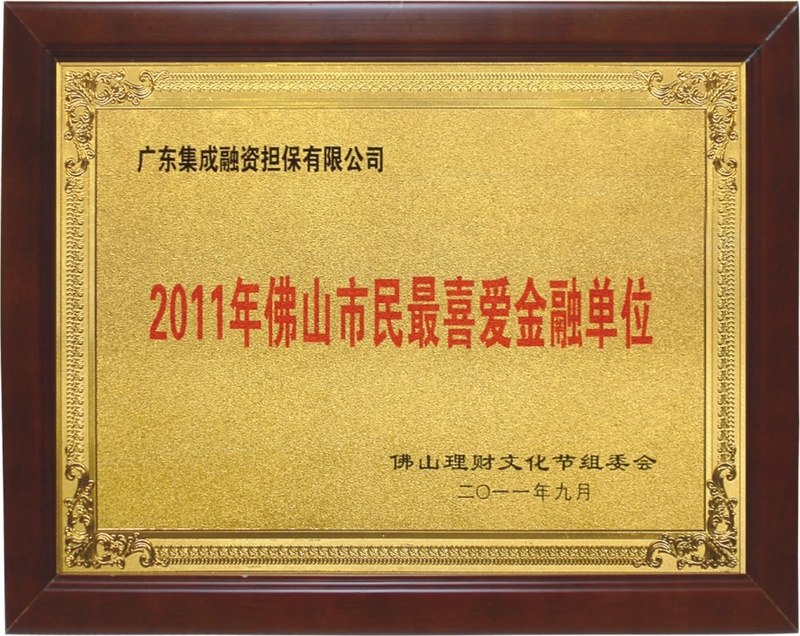 Mr. Li obtained a master of business administration degree from Jinan University in Guangdong, the PRC in June 2007. Ms. DAI Jing, aged 48, is an executive Director and chief operation officer of the Company with effect from 18 May 2018. Ms. Dai joined Success Holdings in August 2006 as manager of the legal department and was subsequently promoted to vice general manager of Success Guarantee in January 2007. She was promoted to senior vice general manager and general manager of Success Guarantee in January 2010 and April 2016, respectively. Prior to joining our Group. 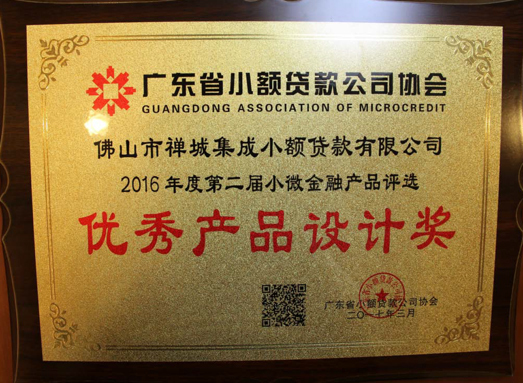 Ms. Dai worked at the Bank of China from 1993 to 2005 for handling credit approval, credit management and asset protection. Her last position with the Bank of China was assistant manager of the asset protection department. 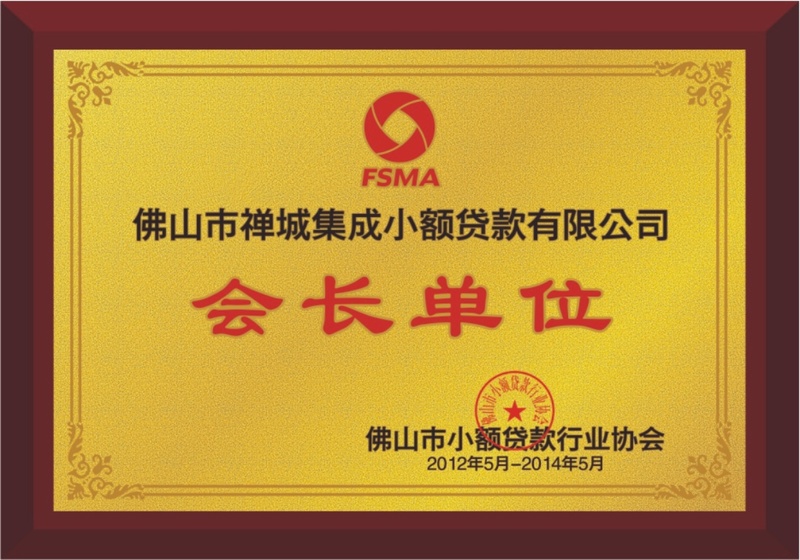 Ms. Dai also worked with the China Merchants Bank from 2005 to 2006 as a manager for handling bank management matters. 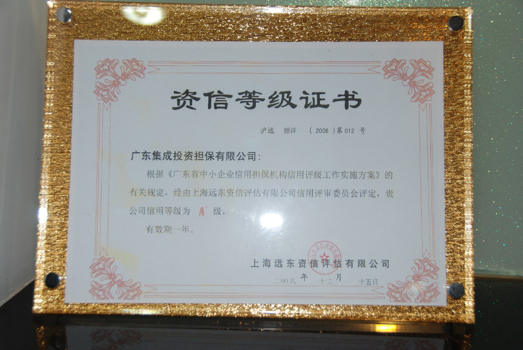 Ms Dai was admitted as a lawyer in the PRC in September 1995. Ms. Dai obtained a bachelor’s degree in law from Wuhan University in Hubei, the PRC in July 1993. Mr. XU Kaiying, aged 55, was appointed as our non-executive director on 18 October 2013 and re-designated as our executive director on 4 July 2016. 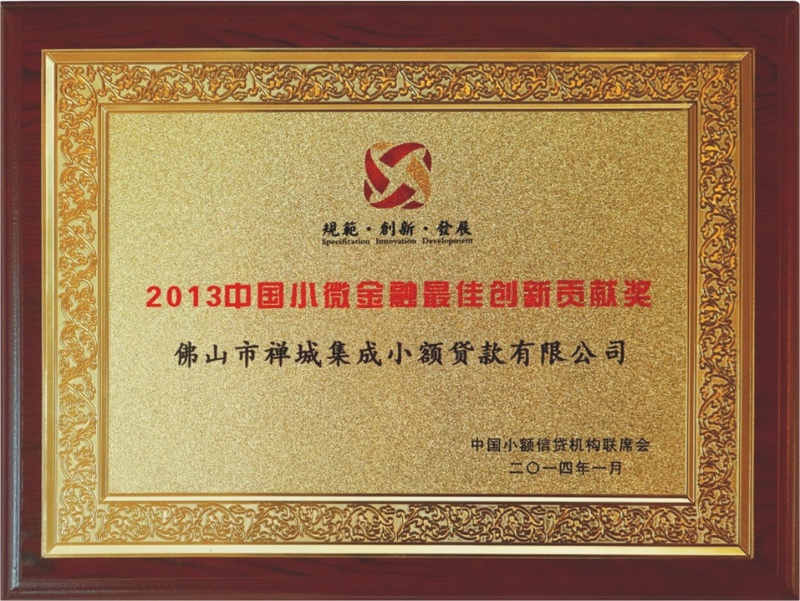 Mr. Xu invested in our Group as a shareholder of Success Guarantee in February 2001. Mr. Xu is the general manager of Foshan Success Industry Investment Company Limited, the director of China Success Capital (HK) Limited (“Success Capital (HK)”)，the director of Success Investment Investment Holdings and the director of Jiayou Network. 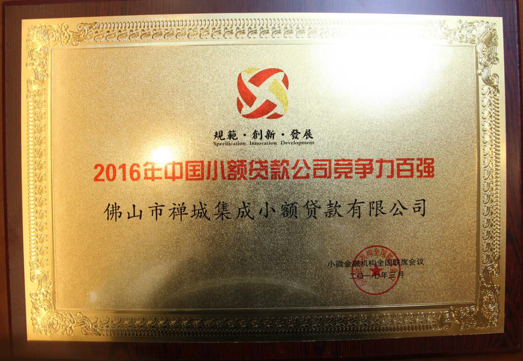 Mr. Xu is also the director, the vice chairman of Success Asset and Success Guarantee respectively, all being our Group companies. Mr. Xu is a member of the 12th Foshan Committee of the Chinese People’s Political Consultative Conference, the chairman of Foshan Air-Conditioner Retail Industry Association, the standing committee member of the 14th executive committee of Foshan General Chamber of Commerce, and the executive chairman of Foshan Investment Chamber of Private Entrepreneurs. 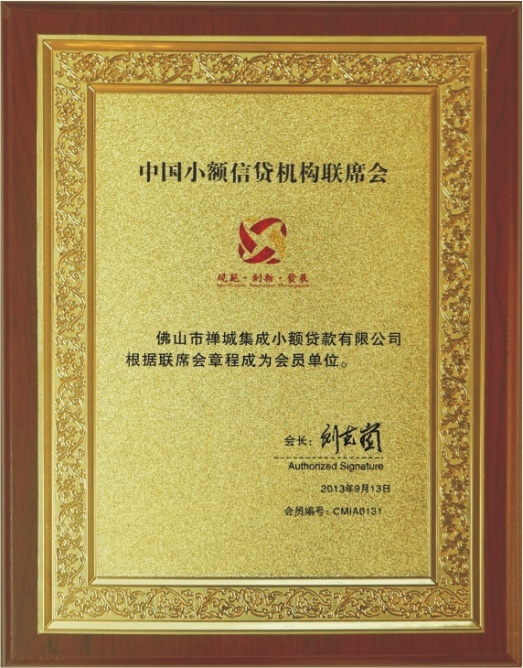 Mr. Xu obtained a bachelor’s degree in finance management from Beijing Economic and Technological College in July 2008. 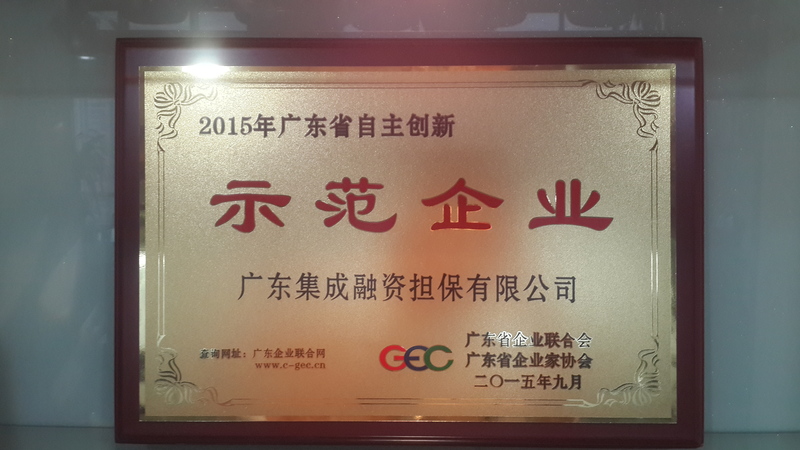 Mr. Xu has completed a post-EMBA degree at the Peking University. Mr. PANG Haoquan, aged 54， was appointed as our non-executive director on 18 October 2013 and re-designated as our executive director on 6 January 2017. Mr. Pang invested in our Group as a shareholder of Success Guarantee in February 2001. Mr. Pang is also a director of each of Success Investment Holdings，Success Capital (HK) and Jiayou Network. Mr. Pang is also the chairman of Guangdong Yinhe Motor Group Company Limited (广东银河摩托车集团有限公司). 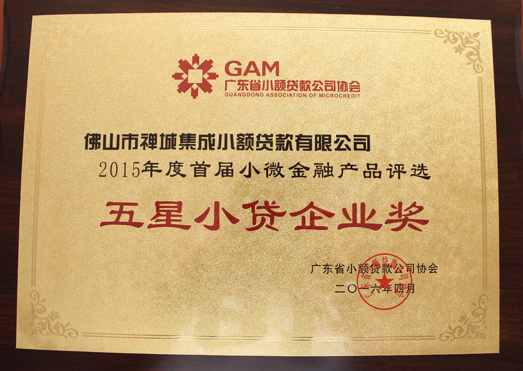 Mr. Pang obtained a diploma in automation from Guangzhou Open University in July 1982. Mr. HE Darong, aged 59, was appointed as our non-executive director on 18 October 2013. Mr. 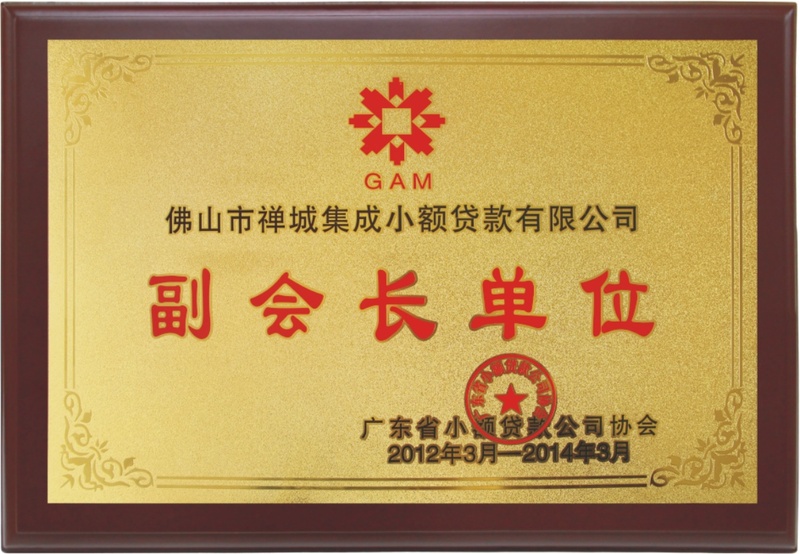 He invested in our Group as a shareholder of Success Guarantee in July 2010. Mr. He also owns 9.09% equity interests in Success Credit. Mr. He is the vice chairman of Success Asset and Foshan Lecong Real Estate Square Company Limited. Mr. He is currently the general manager of Foshan Tiefeng Industrial Investment Company Limited and Foshan Shunde Shihai Industrial Investment Company Limited. Mr. He obtained a master degree in business administration from the Tsinghua University in 1998. Mr. He was an NPC deputy of Lecong Town, Shunde District, Foshan City in 2015. He was a member of the 10th Shunde Committee of the Chinese People’s Political Consultative Conference and is the vice president of The Steel and Iron Trade Association of Lecong Shunde District Foshan City. Mr. TSANG Hung Kei, aged 48, was appointed as our independent non-executive director on 18 October 2013. Mr. Tsang has more than 20 years of experience in financial management and reporting and corporate governance. He is a Fellow of the Association of Chartered Certified Accountants, a Fellow of the Hong Kong Institute of Certified Public Accountants and a Fellow of the Institute of Chartered Accountants in England and Wales. He had years of working experience in an international accounting firm and is currently the chief financial officer of Pak Fah Yeow International Limited, a company listed on the main board of The Stock Exchange of Hong Kong Limited (the “Main Board”), and an executive director of its major subsidiaries. He is also an independent non-executive director of China Wah Yan Healthcare Limited, a company listed on the Main Board. Mr. Tsang holds a bachelor degree in computer science and accounting at the University of Manchester, United Kingdom. Mr. AU Tien Chee Arthur, aged 46, was appointed as our independent non-executive director on 18 October 2013. Mr. Au is a lawyer with almost 20 years of legal and industry operations experience in corporate and private practice settings. He is the Global Legal Director for Strategic Projects and Operations at Byton, a global electric car manufacturer headquartered in Nanjing with international footprints in the U.S. and Germany. Previously Mr. Au has experience working with multinational clients such as the Hong Kong Exchange, Sands Group, Peninsula Hotel, Accenture, Hasbro etc. as well as technology and biotech startups in Hong Kong both in both in-house and external counsel capacities. Before returning to Hong Kong, Mr. Au worked in Silicon Valley for almost 15 years. He was the Director of Intellectual Property at Thoratec Corporation, an alumnus to the firms of Blakely, Sokoloff, Taylor & Zafman LLP and Morgan Lewis, as well as being a seasoned engineer with industry experience. Mr. Au has a bachelor of science degree in engineering from Duke University, a master of science degree in biomedical engineering from Case Western Reserve University, and a degree of juris doctor from Santa Clara University School of Law. He was admitted as a member of the State Bar of California and registered to practise with the US Patent and Trademark Office. 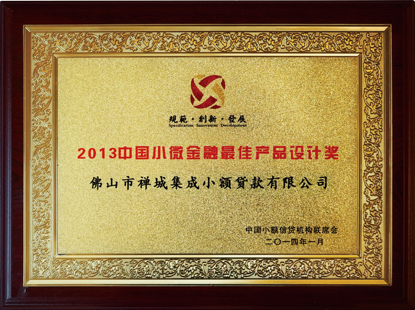 Mr. XU Yan, aged 46, was appointed as our independent nonexecutive director on 18 October 2013. Mr. Xu has over 20 years in the area of trade economy and banking. Mr Xu began his career with the Foreign Affairs Department of the State Economic & Trade Commission (the predecessor of the State-owned Assets Supervision and Administration Commission of the State Council) as a deputy director from July 1994 to August 2000. He then worked for Cazenove Asia Limited as a manager, vice president and representative in chief of Beijing representative office from May 2002 to February 2009. 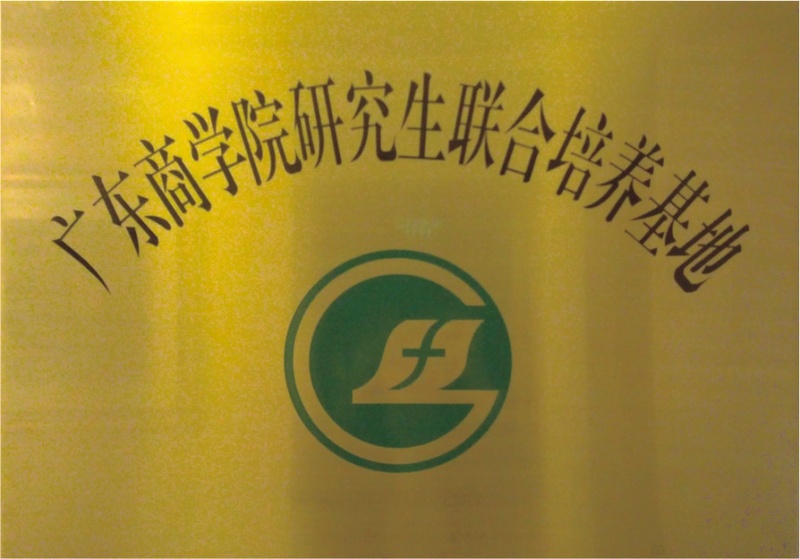 In February 2009, Cazenove Asia Limited was taken over by the Standard Chartered Bank and renamed as Standard Chartered Securities (Hong Kong) Limited where Mr. Xu worked until he left in June 2012. Mr. Xu served as the Chief Strategy Officer in China Minshen Future Holdings Group Limited(中民未来控股集团有限公司) from October 2015 to 31 December 2018. Mr. Xu obtained a bachelor’s degree in English from Beijing Foreign Studies University in July 1994 and a master degree in business administration from the University of Manchester in June 2002. Mr. ZHOU Xiaojiang, aged 56, was appointed as the independent non-executive Director on 4 July 2016. 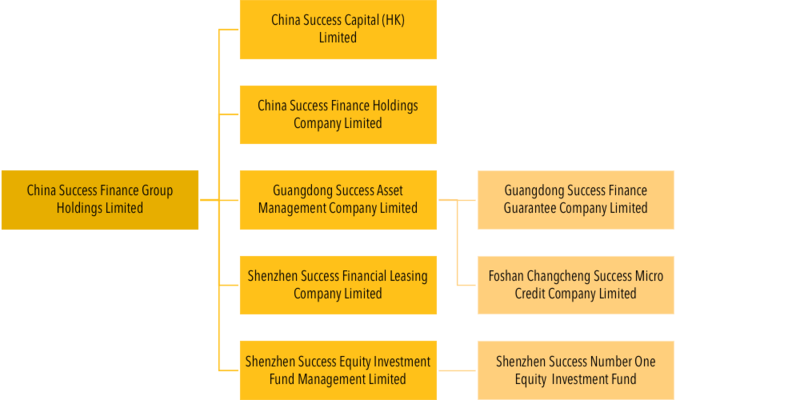 Mr. Zhou has been a director in Grandtopeak Land Consolidation Group Co,. 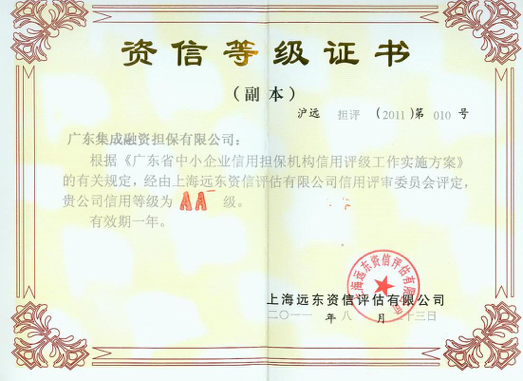 Ltd. (国泰土地整理集团有限公司), the chairman and legal representative of Beijing Zhong Di Land Consolidation Co,. 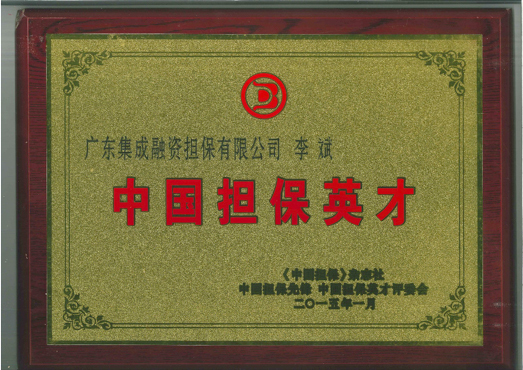 Ltd. (北京中地土地整理有限公司), the chairmanand legal representative of Beijing Guotai Balance Land Layout and Design Co,. 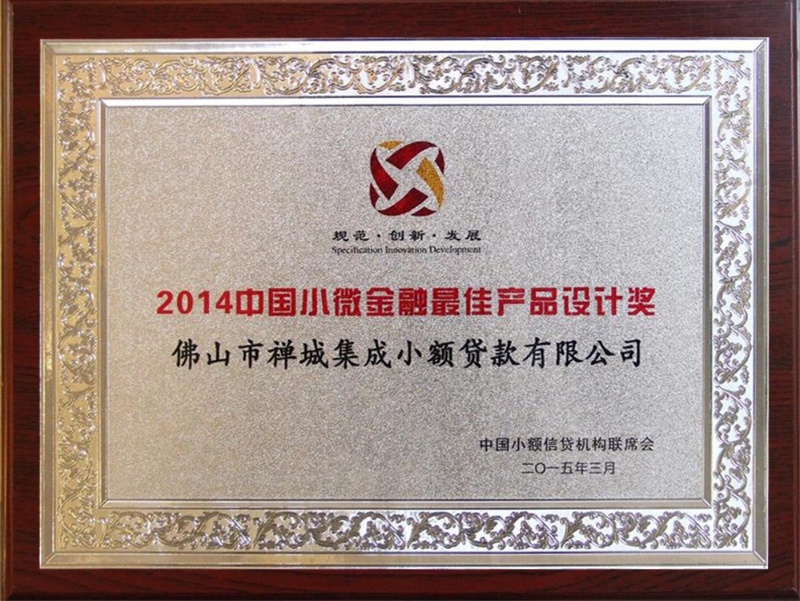 Ltd. (北京国泰天平行土地规划设计有限公司), the chairman and legal representative of Beijing Hongtai ntrepreneurial Land Consolidation Co,. 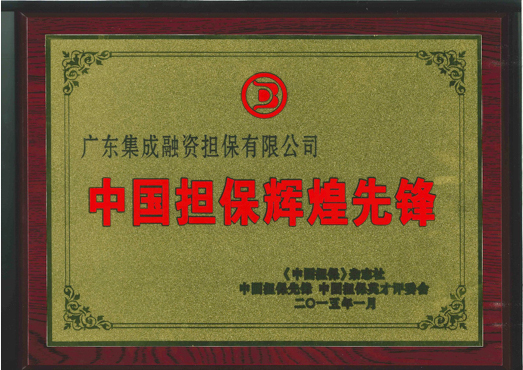 Ltd. (北京宏泰创业土地整理有限公司), the chairman and legal representative of Beijing Guoxing Weiye Land Consolidation Co,. 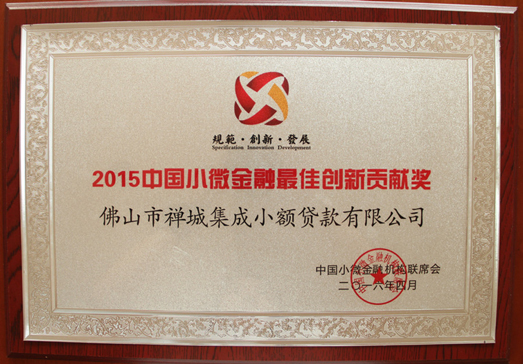 Ltd. (北京国兴伟业土地整理有限公司), the chairman and legal representative of Beijing Guotai Pilot Sailing Boat Investment Co,. 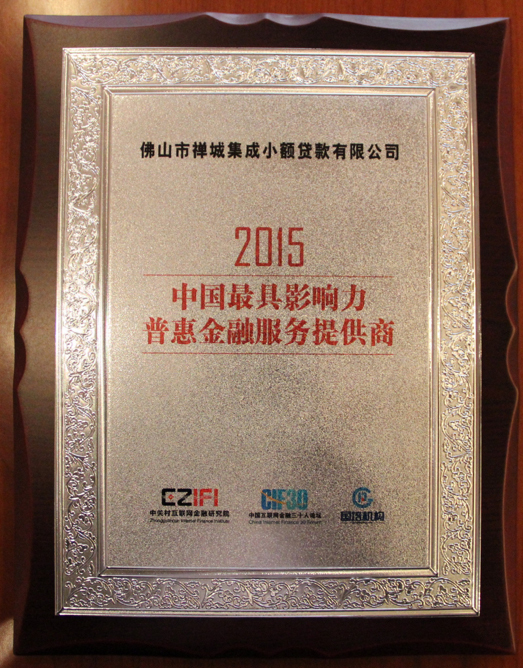 Ltd. (北京国泰领航帆艇投资有限公司), and the general manager and legal representative of Guotai Jinglu Investment Holdings Co,. 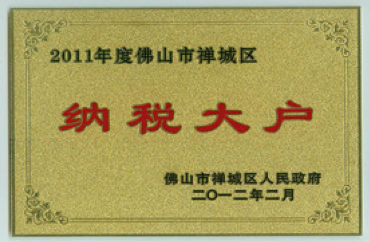 Ltd. (国泰京鲁投资控股有限公司), since December 2007. 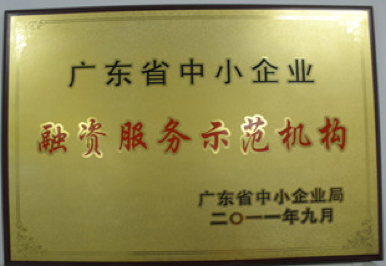 Mr. Zhou was the chairman and legal representative of Guoyu Economic Development Corporation (国宇经济发展总公司) (formerly China Three Gorges Economic Development Corporation (中国三峡经济发展总公司)) from December 2004 to May 2007. 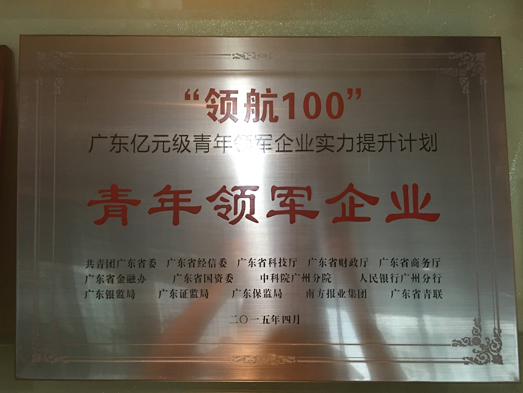 He was also he general manager and legal representative of Hualian Real Estate Development Company (中国华联房地产开发公司) from March 2001 to May 2007. Mr. Zhou obtained a bachelor degree of science, majoring in urban planning, from Chongqing University (formerly known as Chongqing Construction Engineering College (重庆建筑工程学院)) in August 1983 and an MBA from Murdoch University in Australia in 2001. Mr. LIANG Tao, aged 36, was appointed as the chief financial officer of our Group on 18 October 2013 and is responsible for overseeing the financial matters of our Group. Mr. Liang has over 10 years of experience in financial management. Mr. Liang joined our Group in December 2010 and was responsible for the initial public offering of the Company in 2013. 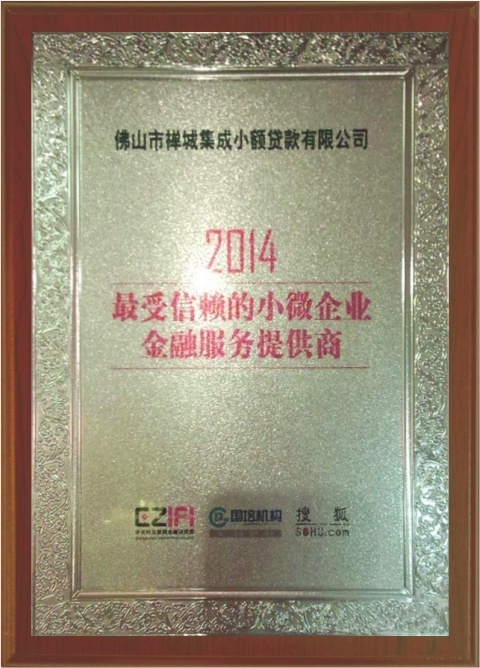 Prior to joining our Group, Mr. Liang has experience for the listing of a mainland enterprise in NASDAQ. Mr. Liang has been with L & L Energy, Inc., a US public company, and United Group Rail (NZ) Limited, an Australian listed company responsible for financial matters of the two companies. Mr. Liang holds Bachelor of Business Studies of Massey University majoring in accounting. Mr. PANG Chung Fai Benny, aged 46, was appointed as our Company Secretary on 18 October 2013. Mr. Pang is the founder and managing partner of Benny Pang & Co, a firm of solicitiors in Hong Kong, since February 2017. Between 1997 and January 2017, Mr. Pang practiced as a lawyer with several international law firms in Hong Kong and Sydney. Mr. Pang received his bachelor’s degree in laws (with honors) from Bond University in 1996. In 1997, Mr. Pang obtained his Graduate Diploma in Legal Practice and master degree in laws from The College of Law and The University of New South Wales, respectively. He was admitted as a legal practitioner of the Supreme Court of New South Wales in 1997 and as a solicitor of the High Court of Hong Kong in 2009. He is a member of both the Law Society of New South Wales and the Law Society of Hong Kong. Mr. Pang is currently (i) an independent non-executive director of Yuanda China Holdings Limited, a company listed on the Main Board with stock code 2789; (ii) an independent nonexecutive director of Sanbase Corporation Limited, a company listed on the growth enterprise market of the Stock Exchange with stock code 8501; and (iii) a non-executive director of Huabang Financial Holdings Limited (formerly known as Goldenmars Technology Holdings Limited), a company listed on the Main Board with stock code 3638. Mr. ZHONG Zhiqiang, aged 45, is the director of Investment and Financing Committee and is responsible for the investment and financing management of the Group. He is also the risk control director of Success Guarantee and is responsible for overseeing the risk management department of Success Guarantee. Mr. Zhong joined our Group in October 2009. Prior to joining of our Group, Mr. Zhong worked at the Bank of China from 1991 to 2009 for handling foreign exchange settlement, provision of loans and credits and sales and personal financing. His last position with the bank was assistant manager of the personal financial department. Mr. Zhong obtained a bachelor’s degree in economics majoring in finance from Jinan University in Guangdong, the PRC in January 2004. Ms. LI Xiayun, graduated from Sun Yat-sen University with a major in statistics, intermediate economist, qualify for engaging in fund business. Ms. Li used to conduct risk management work in an asset management department of a large and diversified company, and have rich experience in company listing, asset restricting and investment and acquisition. Ms. Li joined the Group in 2010, and is currently the secretary of Hong Kong office. ・In September 2018 , the registered capital of Success Guarantee has increased to RMB430 million, further enhancing the strength of the company. 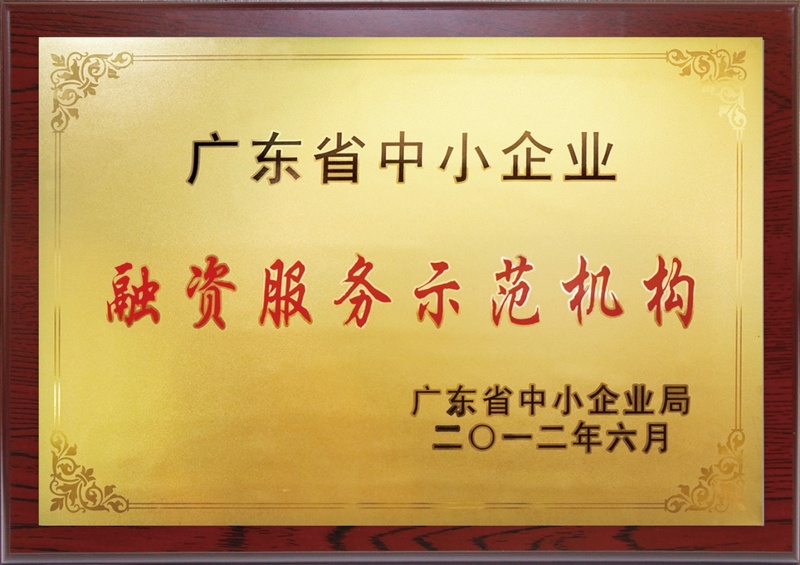 ・Started the “Enterprise Rejuvenation Project of Foshan City” participated by the government, banks, institutions and enterprises. 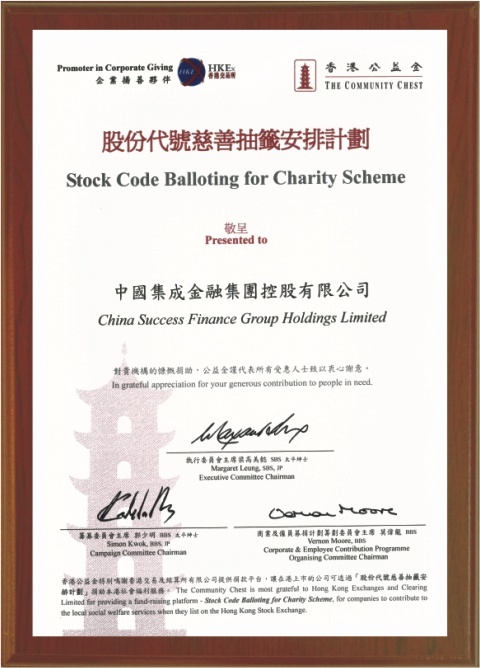 ・Two wholly-owned subsidiaries, Shenzhen Success Finance Leasing Company Limited (“Success Leasing”) and Shenzhen Success Equity Investment Fund Management Company Limited (“Success Fund”) were set up in Qianhai cooperation zone, to gradually develop into diversified and integrated finance group consisting of asset management, finance guarantee, petty loan, finance leasing and equity investment etc. 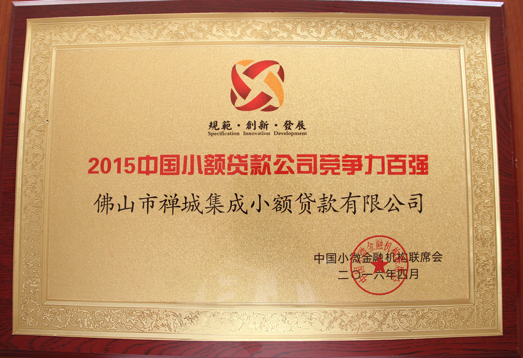 ・Success Guarantee was renamed to Guangdong Success Finance Guarantee Company Limited.